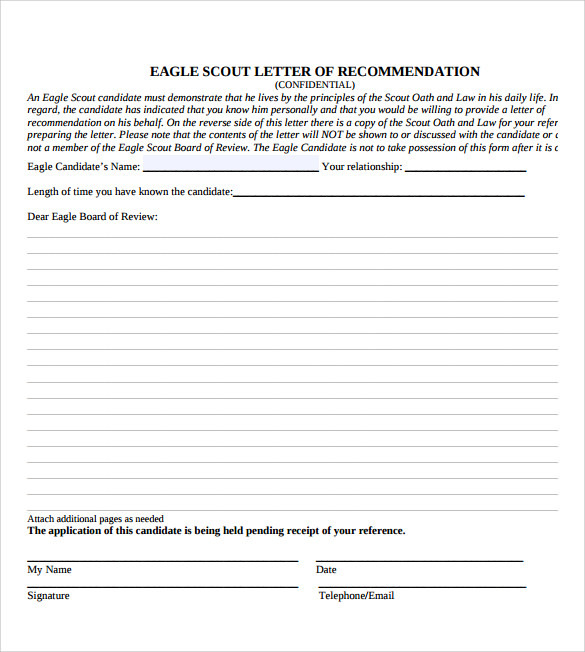 For boy scouts, having a rank of Eagle Scout means you already possessed the spirit and ideal attitude of being a full pledge Boy Scout based on their oath/law in spite of the insignia and benefits you will received. 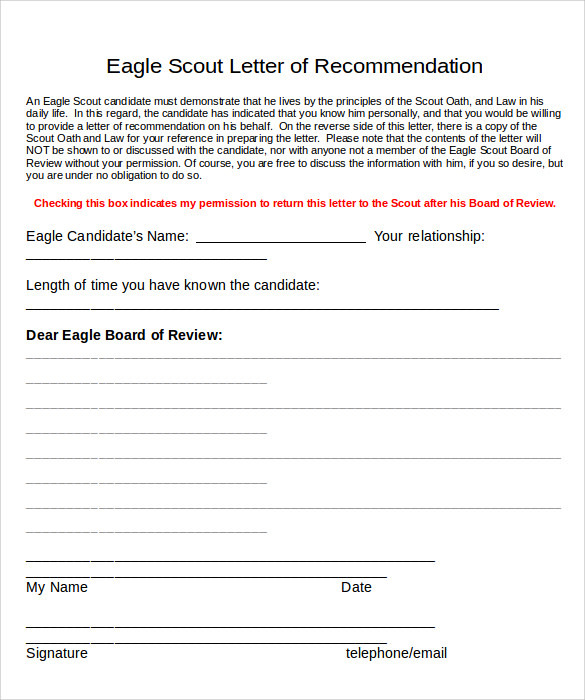 Aside from merit badges and services done, one way of having this position is having the Eagle Scout letter of recommendation where the hopeful Boy Scout looks for a good review of their service and character from other people or colleagues in order for them to have the said rank. 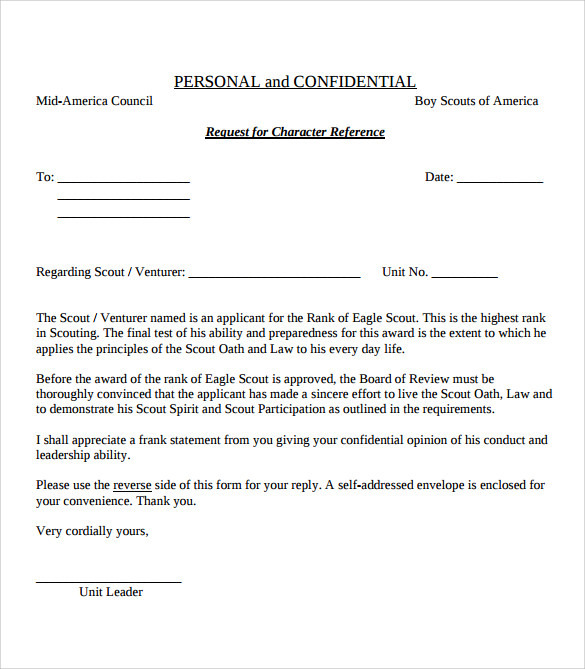 Example templates for this kind of letter have a lot of sample when you look at the internet, they are free to have and you can download them if you want to have your own copy. 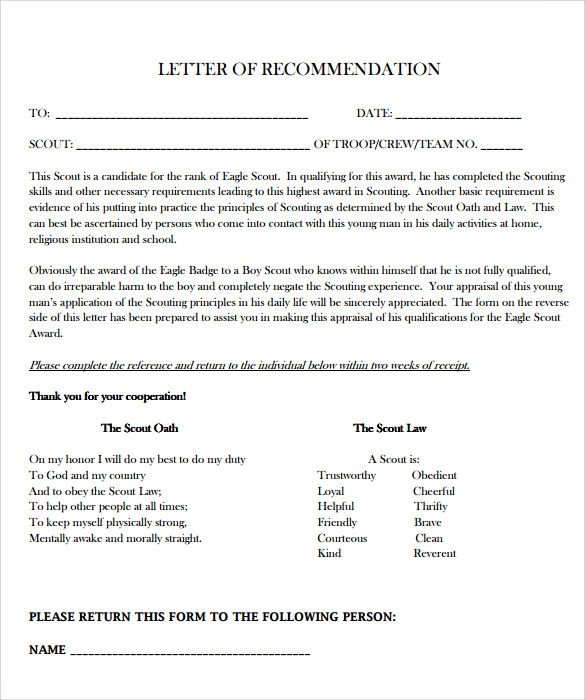 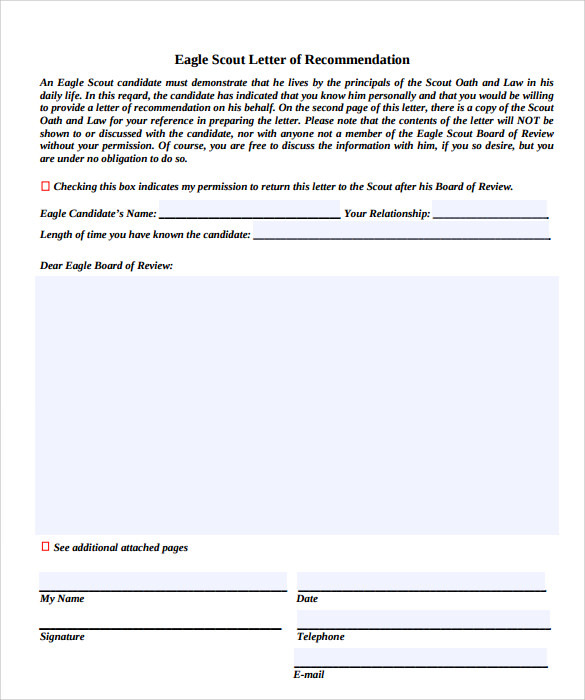 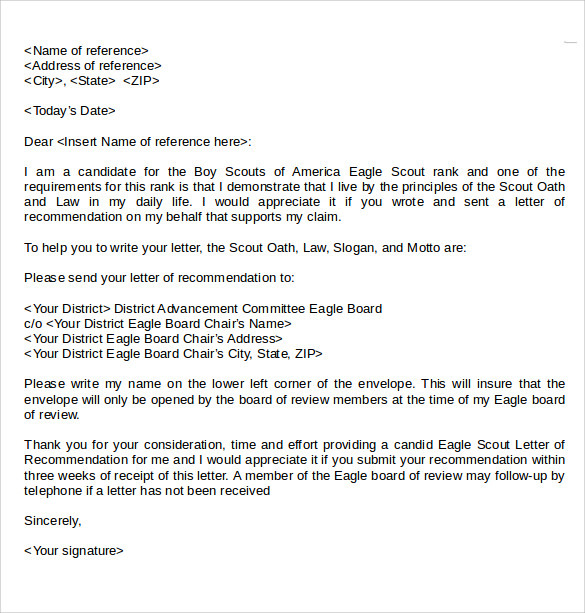 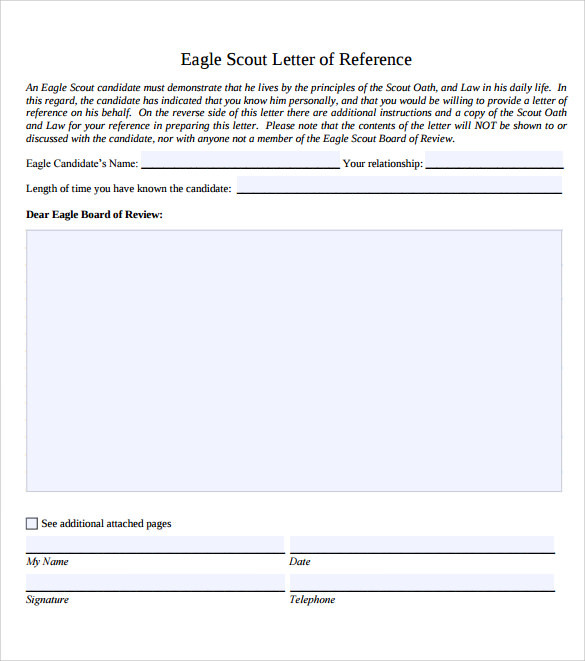 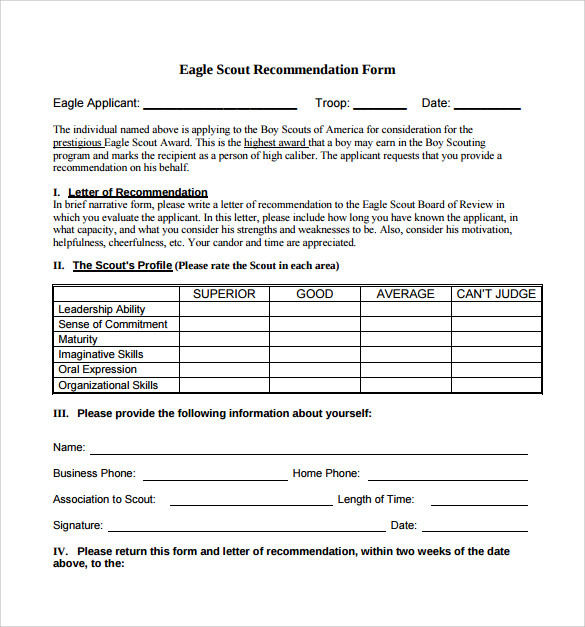 Eagle Scout Letter of Recommendation marks a boy scouts deserving talents and passion in their duty in which they deserve to have the rank of eagle to perform their task well.